So I asked a few weeks (months?) back on Facebook about how many of you use your mobile devices or tablets while cooking in the kitchen…and the number was shockingly high. I went exploring for some widgets, gidgets and gadgets that might make your life with your device in the kitchen a little safer. 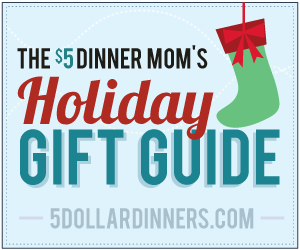 Don’t forget to check out the Cookbook Edition of this year’s Holiday Gift Guide! This would be super cool gadget to have out by the grill…Maverick Wireless BBQ Thermometer Set! How ’bout this Digital Scale with Measuring Cup ? just for fun…iTouchless Automatic Pepper Mill and Salt Grinder! Do you have any high-tech kitchen gadgets on your wishlist this year, or your shopping list for a family member or friend? Thanks for the great ideas, Erin; a tablet holder for the kitchen didn’t even cross my mind. My wife loves to cook, and she has been dropping hints that she wants an iPad for recipes, cooking sites, and Pinterest. The iPad is already under the tree, but I wanted to go one better. Working for DISH I know of a way for her to take her favorite cooking shows with her into the kitchen. It’s the DISH Sling Adapter, and it streams live TV channels and DVR recordings to her tablet. It’s one thing to have a nice recipe, but after Christmas she will be able to cook along with her favorite TV chefs.